You are going to Watch Naruto Shippuden Episode 278 English subbed online free episodes with HQ / high quality. 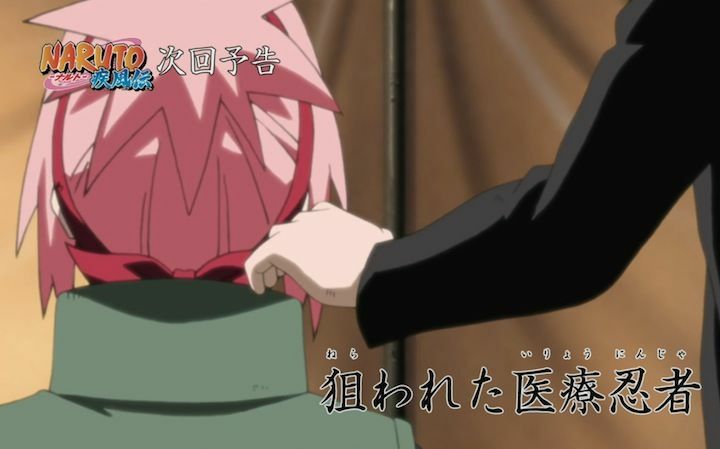 Stream Anime Naruto Shippuden Episode 278 Online English sub Medic Ninja in Danger. Neji loses his energy while scouting the company’s outskirts for enemies, and Kiba advises him to go seek medical treatment. Meanwhile, at the medical encampment, Shizune and Sakura are treating numerous injured shinobi, while mysterious killings occur in secret throughout the base. Neji is revealed to be the culprit after slaughtering two more medics, and then goes after Sakura. However, back at the company’s base, the real Neji is still resting with Kiba and Akamaru, while Hinata and Shino take over watching the frontlines. Back at the medical center, Sakura tells Neji that Shizune is treating Tonton’s sprained leg injury.